Movie/TV shows are the most popular ways to get entertained and relax our mind after spending hectic schedules in office, college or schools. Be in any part of the world you are living, you will find that most of the people love to watch movies on their cable TV or cinema halls with their friends and family. There are many movie buffs too that download hundreds of movies to watch with peace on their computer or laptops. I am one of them too who love to download movies and watch whenever I get the little bit of time. I mostly download foreign movies that are critically acclaimed all over the world. But, sometimes, it’s very annoying to find that the downloaded movie or TV shows are not backed up by the necessary subtitles. That’s where, movie subtitles plays an important role specially when the movie you downloaded is not in your mother language. Mostly every movie that I download is not in my native language so I need to have subtitles enables otherwise its just a waste of time to watch movie. 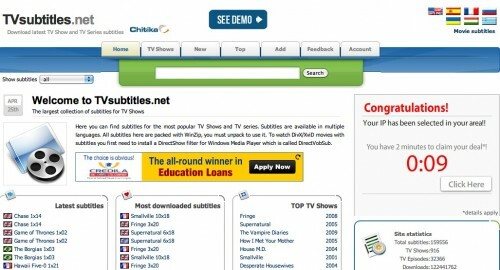 Many times you buy DVDs not come with the subtitles, that’s why, in this article, I decided to list down some of the great websites where you can download movies/tv shows subtitles absolutely free of charge. 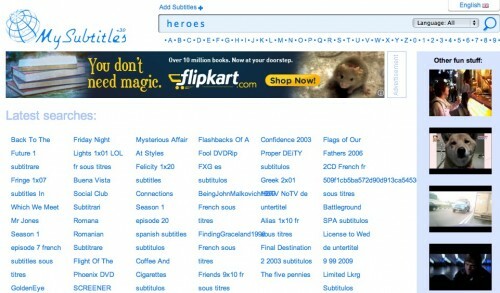 All these websites have a vast database of subtitles and I am sure you will find subtitles of your movies in your native language. 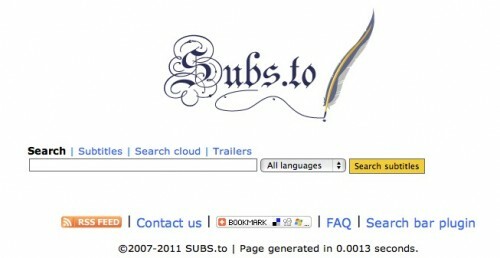 So, have a look on SaveDelete’s compilation of 9 great websites to download subtitles for movies or TV shows.